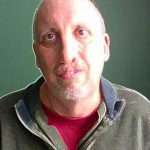 Chrism, a California-based spiritual guide who assists people worldwide in the activation and awakening of the kundalini energies, will return to the Twin Cities in July to present his fourth seminar in the Upper Midwest. Kundalini, a dormant energy in most people’s bodies, is not recognized by Western medicine but has been long known by spiritual devotees aspiring to enlightenment. When awakened, kundalini rises from the base of the spine and completes an energetic circuit throughout the chakra system and the body’s internal organs. The awakening process usually is not subtle, and assistance in the process by someone like Chrism is highly recommended. Chrism spoke by phone with The Edge about kundalini and what participants can expect from his upcoming seminar. Chrism: For those who are unfamiliar, the really quick explanation is that kundalini is the Divine Consciousness that resides at the base of the spine of the human being. It resides there until a person reaches a certain level of spiritual and emotional evolution, and that will allow the kundalini to awaken or activate. Kundalini is the source of the force within each individual. You say the source of the force for each individual. If it is not activated, then it is just a dormant energy until it’s awakened? Chrism: Correct — dormant in the understanding that it is not coming into the person’s physical being and starting the enlightenment process upon them. However, the libido and many of the survival mechanisms of the body will use aspects of that dormant force to protect the human in the world, to allow that human to continue to evolve towards an awakening or an activation of the kundalini. Does kundalini spontaneously awaken in some bodies? Chrism: Oh, yes. That’s a very common mechanism or vector of kundalini expression through the body. A person can have a sporting accident, a skiing accident or a car accident, anything that would create a fracture of the tailbone or lower spine, or even having a disc bulge. Things of that level can activate the kundalini. A person would tend to think, “Oh, my gosh! I had this accident, and in this accident my kundalini awakened.” Well, I am going to suggest that there was no accident there. I have not found in my years of teaching that kundalini comes upon a person in an accidental way. It definitely matches a level of karmic dispensation that the kundalini itself is able to measure. Kundalini does come up spontaneously in some people. A person will just be living their life and all of a sudden — boom! — the kundalini comes up and their life and their reality has changed in a very substantial and strong fashion. For people who may incarnate into this body at a high spiritual level, could they be born with the kundalini awakened? Chrism: Typically what will happen is a person will have activated or awakened the kundalini in another life, but still has a ways to go within their spiritual maturation, and indeed, they may come into life as an awakened child with a lot of the skill sets of a Siddhic nature intact within them, such as telepathy or clairvoyance or clairaudience. A lot of these things I also had as a child, and I am one of those people of whom I am speaking. For somebody who is going through life and on a spiritual level they are maturing and their kundalini spontaneously awakens, what would they notice from a physical or energetic sense that that has happened? Chrism: Typically they will notice some of the exalted skills or what the Sanskrit people call the Siddhi skills or the Siddhic natures, and all of a sudden they will be able to hear another person’s thoughts or perhaps they will see people who have passed away or in their sleep state they may be encountering what could be described as exalted deities coming to them and teaching them about their life, about what they need to do. They also will experience some massive energetic rushing through the spine. A lot of people have compared it to a freight train coming up the spine and exiting out the top of the head. A lot of people will experience tremendous levels of bliss and ecstasy and levels of love that really defy typical expression within the human being. I’m talking about off the charts levels of ecstasy, bliss and love. This is a fairly good indication that a person is encountering the kundalini. They also will feel like something is not right. They may feel their major organs expand, the kidneys expand, the adrenals expand. Their body may be putting out more of the fight or flight hormone, too, and so they may experience high levels of anxiety, nervousness and fear that are not common for the individual — certainly if they are drinking a lot of caffeine or they are not hydrating themselves in a way that allows the body to lubricate itself to support such a high energy dispersal as kundalini within and upon the body. They are going to want to have a really hard look at their diet and make the changes that need to be made to find balance within the kundalini awakening. So what you are describing is a common part of the awakening or enlightenment process that has been described in various cultures throughout history? Chrism: Correct. The bushmen of African know about the kundalini. The shamans in South America know about the kundalini. Of course, the practitioners of the ancient kundalini understandings in India know of the kundalini. We have many different people in all walks of life that have the kundalini awakened, and it is a common theme throughout all cultures of this world, and they have their own name for the kundalini. The shamans in South America call it the Red Serpent energy, because some will see a lot of red and a lot of serpents at times. Some will have actual visions that seem as real as life, visions that are exceptionally real and detailed. What is your connection to kundalini? How did you become aware of the kundalini that has awakened within you? Chrism: As a child I had a lot of the Siddhic skills intact: telepathy, communication with species other than human beings, and other types of scenarios, and so I quickly learned that I had differences from what other people had. I just learned to try to quiet that down, not talk about it so much, after not receiving a lot of support from my parents or from society in general. As I reached the age of 30 the kundalini dormant in this body awakened and it was not the easiest process, because our culture does not really support it. Our culture does not support us having freedom of thought or engaging in thoughts that are not accepted by our current cultural standards, such as having levels of wisdom downloaded into your head from a spiritual source. This is not typically acceptable within the Western, technological civilization format — and so that creates a factor of secrecy. People just don’t want to talk about this, because it doesn’t fit into their idea of reality, and yet this is a reality that is so abundantly expressing through them. You feel that love. I have met kundalini people who have been placed into the psych ward because they are having such tremendous levels of ecstasy that their friends thought something was wrong and they felt they had to do an intervention. That person who is actually coming straight into enlightenment goes through this very challenging process. You may not be able to get out of it once you got there. How do you describe your purpose related to kundalini. Chrism: To awaken it in other people. That is the purpose: The bring the conversation to the population. My task is to go around the scientific methodologies and certain blockages that an adherence to scientific methodology provides. If it is not measurable or provable along the scientific method, for many people it does not exist, because you cannot see kundalini and we don’t have a kundalini-ometer at the moment. My job is to educate people about the kundalini and to activate or awaken it within those individuals who have it flowing or need to have it flowing in a less congested manner. The congestion can come from fear. It can come from many of the psychotropic drugs that medical facilities will give to a person because they don’t know. Medical people call it a spiritual emergency. That’s what they call the kundalini. Not all MDs are clueless about kundalini, but the majority of them are. They will go into their Merck manual and they will look, “Oh, that’s a spiritual emergency. Here, let’s give them some Depakote or something, some very strong tranquilizer” just to hide the symptoms. It doesn’t cure the symptoms, but just hides the symptoms for a short time while that drug is manifesting in the individual. My job is to help keep people out of a psychiatric facility and to give information. Within the kundalini understanding, information is power. It’s not about power over other people. It’s how you respond to an amazing level of power within yourself, and so the more information you have about the kundalini, the better off your activation and awakening is going to be. What would be the ideal person who would come to you to have their kundalini awakened? How do you know that this is the next step for you in you spiritual evolution? Chrism: What will typically occur is people will begin to have Chrism come into their dreams, or they will hear a voice saying, “Go to The Edge magazine. Turn to page 19. Read the article by Chrism on the Sacred Feminine.” They receive instruction from the kundalini Divine within them to pursue this. That is the ideal person, and this happens quite a bit. People receive instructions in their dreams or in either a vision or where the person is hearing Divine instruction. I need to really be clear about Divine instruction. It’s not Divine instruction if it is coming from a spirit or an entity or a ghost of a person who has passed. That is not Divine instruction. Divine instruction comes from a source that is much, much further beyond than your typical close astral integrated related spiritual consciousness. Divine Consciousness is almost impossible to describe, because it doesn’t adhere to the five senses of the limited consciousness. When Divine Consciousness comes, it gives you very specific instructions, such as to go to a certain place. I’ve had people come to seminars because the Divine Consciousness told them to go to a certain magazine, and to look at a certain advertisement, and on what page that advertisement is, and what advertisement it is talking about. I have received many people as a student or participant in a seminar in these ways. The ideal person is being given Divine instruction to do this work. When you use the word “student,” does that imply that what you provide is a spiritual path of itself? Chrism: Absolutely! It is the kind of spiritual path that will walk you as much as you walk it. Typically, you get phenomenon. It’s not hard to get phenomenon with kundalini awakening. The phenomenon is part of the deal, and that is also part of the fear, as well. All of a sudden, people are able to do things and foresee things that they had never been able to do or foresee before in their lives, and because there is no scientific explanation or physics-based explanation, they go into fear — and then, of course, the kundalini can amplify that fear. I try to put out as much information as possible. When you are investigating this path, you want to do it with your eyes wide open and look at all the different phenomena that can occur. It’s not just a slim possibility that you will have visions or telepathy or psychokinesis or clairaudience or clairvoyance or any of the exalted skill sets that come with kundalini. It is typically a fact that that is going to happen, or it is already happening to the individual. It goes along the lines of what the person’s karma is and what that force of the Divine within the individual wants to do with that ascended skill set. It’s not the case in which once you have telepathy, then you can just go and read everybody’s mind. It’s not that way at all. It is a very different set of rules when you have ascended skill sets. So every case is unique. Chrism: Indeed, and yet, there are shared qualities, too. These shared qualities are what allow us to understand each other A person going through the kundalini activation may have spontaneous bodily movements that are known as kriyas, and these kriyas are fairly common throughout the awakening populations. So there are points of similarities that a person and the person next to them may have, but the reason and the causation for that similar phenomenon will not be the same at all. It just so happens that the kundalini comes to people in such a way that it infuses their body from the inside out, and that body will respond in a similar fashion to other people who are having a similar experience. Is there a level of experience somebody should have, in terms of understanding the body’s energetic or chakra system, to have the kundalini awaken? Chrism: A level of experience, a spiritual path, is helpful. Using Christianity as an example, if a person is very, very, very devout in their exploration and expression of Christianity, and they’re praying fervently a certain number of times a week, that can develop a predisposition towards kundalini awakening. For a person who is walking the shamanic path or taking ayahuasca, the jungle tea, that also can begin to develop a person towards an awakening format. A person may have a mindset of needing to explore the inner spiritual areas, the inner energetic anatomy of the individual. A person may be drawn towards information about chakras and actually beginning to feel the chakra network within themselves, but typically we’re not talking about channeling or mediumship or Reiki-based practices. The kundalini tends to operate from the inside out, so it is not a lot of the outside energies coming in to you. It’s an expression of the Divine within, expressing itself outward to the population. Are you focused on certain parts of the country or are you working worldwide on spreading this message? Chrism: It’s a worldwide scenario for me. Last August, I was speaking in London about it. I have a Berlin seminar coming up. I have done seminars in Ireland. Right now, though, there is a kundalini community in the Twin Cities. I like to give a lot of attention to the Twin Cities area because, for whatever reason, a lot of spiritually oriented populations are centered in the Twin Cities area — and what a blessing the Twin Cities and these spiritually oriented people are to this planet. I want to give a shout out of confidence and some love and happiness and joy to all of the spiritual practitioners in the Twin Cities area. With regard to the international pursuits, my goal is is to bring a knowledge of the kundalini to anyone who is ready to hear it — and not all of the population is ready to hear it. Of course, those who are involved in their belief system may be happy in that belief system. That belief system is working for them. They should stay with that belief system. That is a good thing. But, some people are going to be guided within themselves, from their own inner Divine, to go beyond a standard religious understanding and wisdom and into an enlightened expression of grace upon this planet. This is where kundalini comes in. You don’t get to have enlightenment without having kundalini. Do you think the fact that you’re present now during this work is a sign of the spiritual evolution of human consciousness at this time, that it is moving to a higher level? Chrism: Oh, yes! Kundalini is going to be the next big huge wave that will sweep the spiritually minded populations, because it is so powerful. People who are not even awakened or activated within it are claiming to have kundalini-based expressions and skill sets and understandings, because it is known to be the ultimate source of Divine communion and connection within an individual. For me to be able to come to the Twin Cities area — and any of the areas on this planet — and give the kundalini understanding and the wisdom and the message that the kundalini brings, first of all, it is a great honor; it’s a great work. As some of the organizations will put it, doing this great work is a great gift of love, not only for those who receive it, but for those who are also giving it. I’m not getting football stadiums full of people at my seminars. I’ll get 30 people, maybe a little less, maybe a little more, but those are the seeds. Those are the people who are passing this information into the population. As Christ was teaching with the mustard seed parable, where the soil is rich is where the plant will take root, and the soil is exceptionally rich in the Twin Cities area. Are other people doing the work that you are doing related to kundalini? Chrism: I believe that there are some people in the Twin Cities area. There is a popular woman there, I believe, who is working with the kundalini. She is not doing my work. A lot of people who are teaching kundalini don’t have it themselves. A great example would be kundalini yoga. People say, “Oh, I’m going to get my kundalini awakened or activated. I am going to go to kundalini yoga to do it.” Well, kundalini yoga is not about activating the kundalini at all. It’s about doing their version of yoga, which is a version of watching a person have kundalini phenomena, the spontaneous positions, as I mentioned before. Monkey see, monkey do, is not exactly the most profound way for activations for grow, although, because there are many people practicing kundalini yoga, some people in that organization are going to awaken. Most people won’t. What I teach is straight from the awakened kundalini, and it includes amazing levels of wisdom, amazing levels of experience that a person can have, and people do have every day, within the kundalini as it expresses itself through them. When people come to a seminar or they read any of my writings, the kundalini is imbedded within my words, even embedded in my voice right now. Does everyone who comes to your seminar have their kundalini awakened? Chrism: No. Some people come to the seminar and they awaken, right then and there, and the kundalini begins to prove to them that what I’m saying is the real deal. But other people need to just take in the information and begin to apply it to the experiences they have had in their lives — the spiritual experience, the dream state experiences — and work it in to how they have experienced life up to that point. What has been their karma? What had been the major junctions in their life and why? How have they responded? How have they handled those major evolutionary shifts in their life. That is where the kundalini itself will begin to blossom itself within them or gradually insert itself into their life through the information that they receive at the seminar. Tell us about what can people expect at the upcoming seminar in July. Chrism: In July, the seminar is being done on a restored prairie between Rochester and the Twin Cities. It is 100 acres of restored prairie with a natural creek flowing through it that has fish, that has beaver, that has the natural grasses that were present on the prairie for so many thousands of years, and the natural trees. Kundalini is a force of nature within the individual. The sacred feminine, or what in Sanskrit is known as Shakti kundalini, represents Mother Nature. When you are walking barefoot on that restored prairie, when you are receiving information that pertains to the natural energetic environment within the individual, and as you’re doing that within the natural energetic environment that is outside of you, the convergence of these natural experiences can greatly induce or be very provocative towards kundalini activation or awakening within the person. The information mixes with the environment and the kundalini mixes with both and begins to manifest itself within an individual. But as we mentioned before, I certainly will not guarantee that everybody who comes to the seminar will awaken, but everybody who comes to the seminar will have the opportunity to awaken as they practice the protocols that are given and as they digest and process the information that is given. The seminar is 16 hours of information, eight hours a day, from 9 to 5, and I try to make myself as available as possible for people if they have private concerns. Some may want to continue on through the night, maybe around a campfire. The experience is a mixture of listening and taking in the information, taking notes, and actual practices that are designed to establish just the right soil within the individual kundalini to take root within them. Tell us a little bit about the documentary film, Kundalini, and how people can see it if they want to. I said, “Well, you’re a filmmaker. Why don’t you make a film about the kundalini?” We discussed various ideas and he landed on doing a documentary. He did it very well and it’s won awards all over the world. It is a good primer for people who do not have any knowledge about kundalini whatsoever. Contact Rosemary at 651.329.9615 or rosemaryg@usainternet.com and you can schedule a showing of the movie. Do you have a final comment you would like to leave with our readers? Chrism: Yes, I would like to say continue to read The Edge magazine. The Edge is one of the few sources within the Twin Cities, or actually nationally, that has the courage and the ability to dispense this information into the population, so continue to pick up The Edge magazine and read it at Edgemagazine.net. Come to the seminar. I know that some of you have had kundalini experiences and it is frightening you or it’s just the most joyous and amazing experience that you could ever have. For those of you that are having a more challenging experience, come to the seminar and allow this balancing to take place. Remember what I said earlier in this interview, that information is power. The more information you have about authentic kundalini expression through the physical body, the more power you are going to have over yourself as you manifest the best conscious mindset to receive extremely strong and beautiful Divine energies. 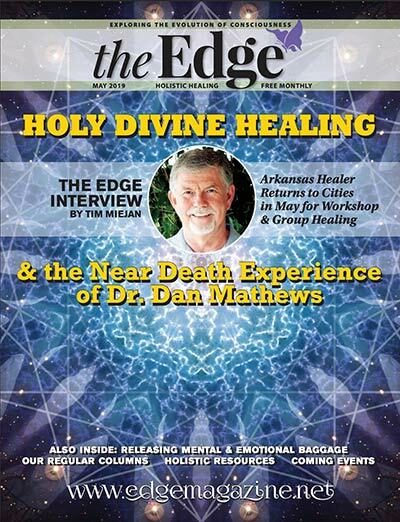 I would like to thank you, Tim, for this interview and everybody at the Edge magazine for allowing this interview to take place and for allowing the people in the Twin Cities area to receive this information. For more information on Kundalini Awakening Systems, visit www.KundaliniAwakeningSystems1.com. For information on the documentary film, Kundalini, visit www.7dotsmedia.com.